At the journalism salon Michael Kreil and Hendrik Lehmann talked about their work as data journalists for the "Tagesspiegel". Data journalism is a still young division of reporting. But it is becoming more and more important. “Data is the new oil,” said the advertising expert Michael Palmer back in 2006. 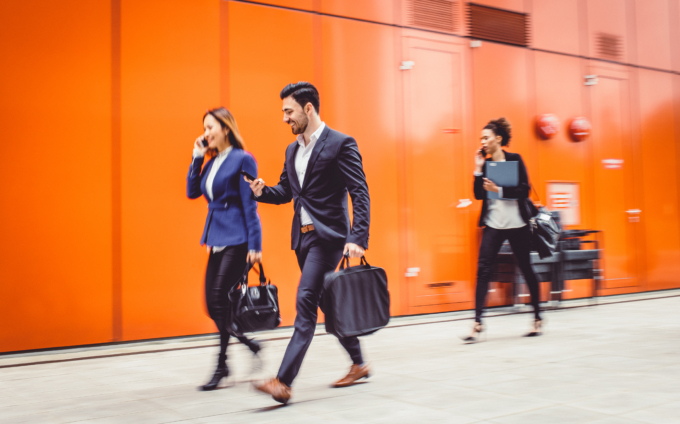 It is clear that governments, corporations and NGOs are sitting on vast amounts of data – with emphasis on sitting. And further? “The main task of ​​data journalism is to make data sound,” writes Lorenz Matzat in his book “Datenjournalismus”, published in 2016. Party donations, rents, refugee routes: Three topics that immediately illustrate the importance of “Data Driven Journalism”. In addition, there are the social networks, which are ultimately nothing more than huge amounts of data, waiting to be evaluated. However, publishing houses and media houses, which have not traditionally had anything to do with technology, prevent the serious integration of coders, designers and data experts into the editorial everyday life. Thus, data journalistic projects in the German-speaking world remain a shortage. 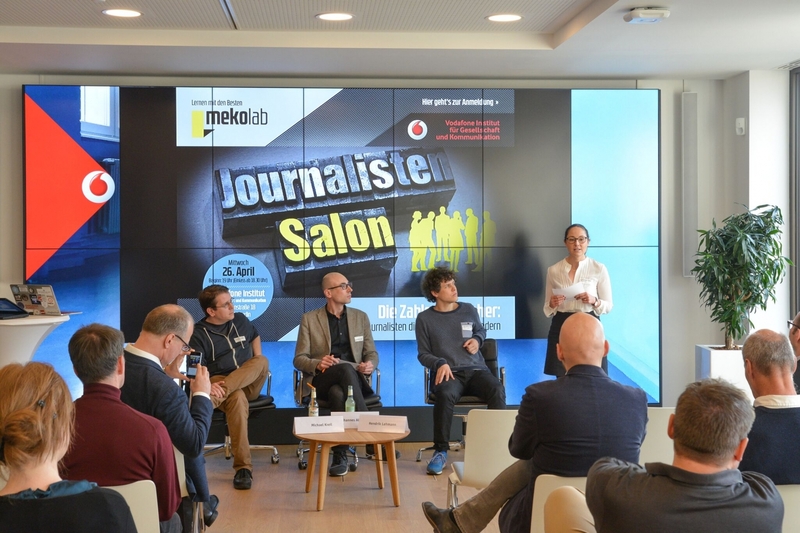 In order to examine the current state of data journalism, the Vodafone Institute, in cooperation with #mekolab, Deutscher Journalistenverband and “taz“, co-hosted the journalist salon at the Vodafone capital office on Wednesday. The panel was moderated by Johannes Altmeyer (“Welt”). The two panelists were Michael Kreil and Hendrik Lehmann. Kreil is a member of the „Data Science and Stories“ team for the “Tagesspiegel”. Lehmann is an editor at the “Tagesspiegel” and quasi obstetrician of the digital platform there. Both got a lot of attention for their detailed Twitter analysis of different parties and the media. In order to implement topics like these, it takes an above-average effort. Data journalism is far away from being daily business. Kreil says: “As data journalists, we are hardly involved in the daily editorial work. We think in our own cycles.” While many classic newspaper articles are usually written by just one journalist, several are needed for data-driven stories – besides the editor and data analyst, at least one IT employee and one graphic artist are involved. “Data journalism is teamwork,” Kreil summarizes. On the other hand Lehmann criticized some of his colleagues for their sloppy research. Many statistics would not be sufficiently tested, either for lack of time or for lack of knowledge. This makes journalists, who are doing data-intensive statistics, particularly vulnerable to the risk of becoming the preachers of PR messages. There is no doubt that this cannot be the claim of reputable journalism. Ultimately, high-quality data journalism changes the news: news become more credible and transparent. 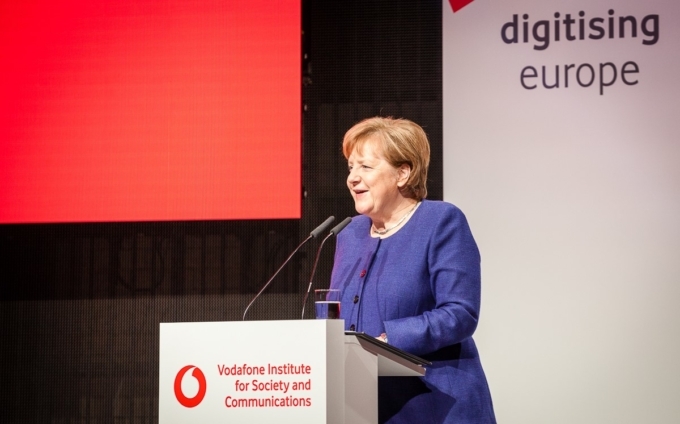 At the Digitising Europe Summit 2019, German chancellor Angela Merkel explained her vision of a digital Europe. Margarete Schramböck, Austria's minister for digital and economic affairs and speaker at the Digitising Europe Summit, discusses her government's plans for digital transformation and how digitalisation can help improve quality of life.